Rolling Stone cover star Ed Sheeran has charted a massive North American tour in support of his new LP Divide. Sheeran, who announced the arena tour on Wednesday, will start June 29th at Kansas City's Sprint Center. The 59-date trek will conclude October 6th in Nashville, Tennessee. A pre-sale for the tour will launch March 13th on Ticketmaster, which will roll out its new Ticketmaster Verified Fan– a tech product that aims to ensure fans and not bots get in-demand tickets – for the event. A general on-sale will follow on March 17th. While Sheeran will play North American arenas this tour, the singer told Rolling Stone that he has even bigger aspirations. "I want to do stadiums everywhere," Sheeran said. "Like George Strait's level – he tours every four years, does a couple of stadiums and then fucks off again." 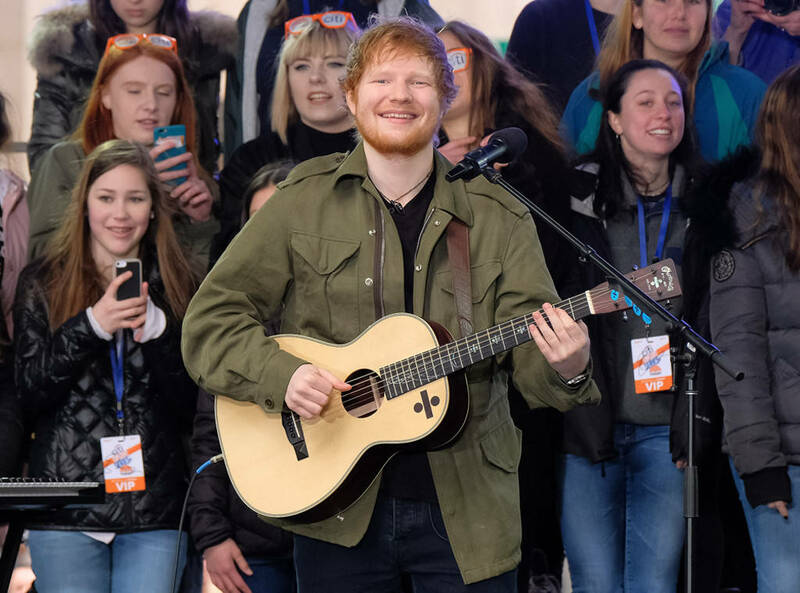 Ed Sheeran announced a 48-date North American arena tour on Wednesday (March 8), slated to kick off at the Sprint Center in Kansas City on June 29 and run through an Oct. 6 show at the Bridgestone Arena in Nashville. All pre-sales for the massive outing in support of Sheeran's third album, Divide (styled as ÷), will be powered by Ticketmaster's new Verified Fan software, which is intended to help artists combat bots and get tickets into the hands of true Sheerios. Pre-sales are set to begin on Monday (March 13) at 10 a.m. local time and run through March 16 at 10 p.m. local time; general public tickets go on sale March 17 at 10 a.m. local; for more information click here. The tour will celebrate the tremendous success the Grammy-winning singer has had with his third LP, including the No. 1 Billboard Hot 100 debut of "Shape of You," which has topped the chart for six weeks so far, while second single "Castle on the Hill" entered at No. 6, making Ed the first artist to ever have two singles make simultaneous top 10 debuts in the chart's 58-year history. Divide also broke the 1 billion YouTube views mark just two days after its release last week. Ed Sheeran is coming to a city near you. Before his performance on NBC's Today Wednesday, the singer-songwriter announced on Twitter that he will be hitting the road in 2017 to support Divide, his just-released third album. Divide broke Spotify records, receiving 56,727,861 streams in its first 24 hours. Early tracking estimates indicate the album will sell between 400,000-450,000 copies, ensuring a No. 1 debut. Sheeran's North American tour will begin June 29 at the Spring Center in Kansas City, Mo., and will wrap Oct. 6 at the Bridgestone Arena in Nashville. Concert tickets will go on sale March 17. A special pre-sale for fans begins at 10 a.m. ET March 13. "I'm spending four months in America," he told Today's Carson Daly, Savannah Guthrie, Willie Geist and Al Roker. "It's the most time I've spent in any continent at all. We're going to put this tour on sale and see how it goes, and then maybe come back next year for some more." This time, he'll be headlining arenas, as opposed to singing at more intimate venues. "It's all about the crowd and whether the crowd gets onboard with it," he explained. "If someone connects with you, it doesn't matter how far away you are, if you can get them connected with a song." 0 Response to "Ed Sheeran Announces Massive 'Divide' Arena Tour"